Do you have standards or do you have expectations? Does God hope that we have faith, or does He demand that we do? God demands that we have faith. I have observed, even in my own life, that we base our lives on expectations. Expectations are not concrete. Expectation is simply a strong hope or belief that something is going to happen or be achieved. People expect others to treat them with respect, love, and care but if you raise your standards you would treat yourself with respect, love and care first. We teach others how to treat us, by the way we treat ourselves. A standard is a level of quality, something that is accepted as a norm, and generally used as a basis for judgment. Standards help us decide how we spend our time, with who we spend time with and how we accept to be treated. When you have no standards it’s pretty obvious: you’ll end up living a life of aimless wander, or as I like to call it ‘going nowhere fast’. You hang out with whoever, your time is not valued and you have no priorities set in place. When you have low standards, whatever happens happens. Having standards means that you take responsibility for your life. See God knows who has faith, because He knows our hearts, but what prayer can He answer when there is no faith? The people you keep around you are extensions of your Self. Standards came to me when I realized I was living an average mediocre life. I was the average Jane for, with the mentality of a young Spanish ghetto girl. Then I realized I had options. I could actually welcome things into my life that I wanted, and reject things that I did not want. I don’t have to be unhealthy eating Mcd’s and fried foods because it’s inexpensive and close by, I can cook myself a healthy meal to do my body better in the long run. I didn’t have to have gossiping friends, I could make better wholesome God focused friends. God challenges us to aim higher, and He expects us to establish standards. If God asks us to be holy, because He is holy, He raised the bar and we must put in effort and discipline in order to reach, right? We can always choose to be unholy, because it’s easier but it tells that we have low standards in this regard. God calls us to love, this is His high standard. He challenges us to love Him with all of our heart, mind, might and soul. That is quite the standard. He asks us to forgive in order to be forgiven, that is His standard: its simple we don’t forgive others, we cannot and will not be forgiven. Faith pleases God, without it we cannot please Him: what a standard. If we have no faith we are not and can not pleasing God! Remember God calls us to trust Him as He teaches us His will and gives us direction to attaining it. What if we told some of our friends, stop talking about this or that it doesn’t please me…. are we rude for setting a higher standard? Or what if we decide to quit a job because they will not give us a raise, yet want to change or add responsibility to our position? What if you are busy writing a book or opening a business, is it wrong to decline many invites to dine out with friends? Is it a mistake to end a friendship because they are interested in sin, while you are battling to remain at peace with God? Some people may not understand your high standards, but this is your life. You don’t have to accept anything you don’t want in your life. We have to mature in these things, life happens but it does not happen without your free will in choosing. 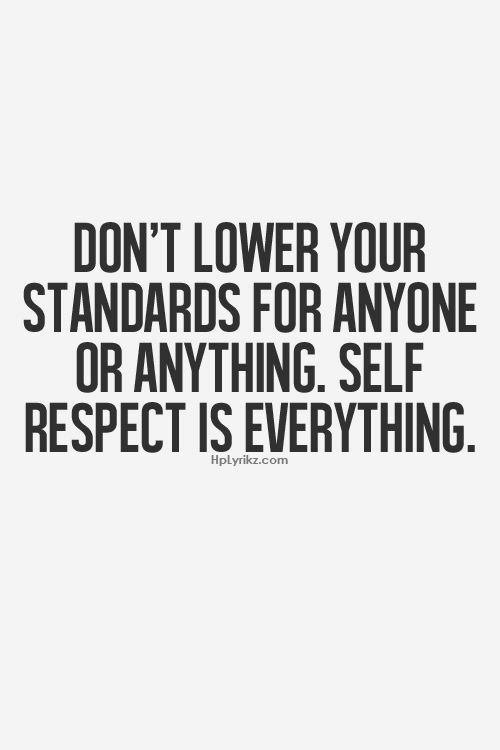 Standards enable us to take ownership of what’s happening in our own life. God, I thank you for the standards you have set in order for us to come to you and to please you. Help us to set standards and even higher standards in our lives. If anyone is battling with self worth or is unfocused align them today! May your will be clarified for them, in Jesus name, Amen.